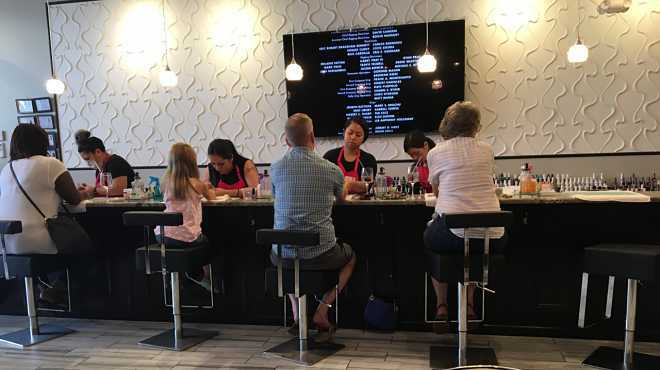 What does a Cranford Dental dentist learn from a visit to Rock Hill Nail Bar Blush? 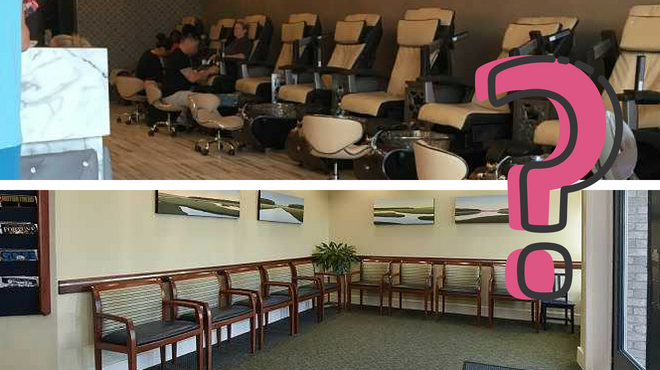 Read Dr. Elizabeth Robinson’s observations from her recent pedicure. Contact Cranford Dental or call 803-324-7670 if you need a dentist who shares her concern with customer care. We welcome new patients. I am not one who typically enjoys pampering myself. I get a pedicure a couple of times a year, mostly out of necessity. I usually go to whichever nail place I can find that has the first available appointment. This past weekend I decided that with the impending birth of my second baby, I should get my toes taken care of. I can’t reach my toes to paint them myself! I thought that maybe this time I could enjoy a little pampering. I had such a wonderful time with my pedicure that I am already looking forward to my next one. My feet don’t look any better than they have with past pedicures, but the overall experience left me feeling special and relaxed. I was fortunate enough to get a last minute appointment at a place I had never been, Blush Nail Bar on Dave Lyle. A nice man greeted me by name when I entered Blush. Doesn’t it make you feel valued to hear someone call you by name? He directed me to a pedicure chair (no waiting!) and taught me how to operate the massage features. He took pride sharing his nice salon with me. Throughout the pedicure, the technician’s attention was 100% with me. We talked for a while, but she let me relax when she could see I didn’t care to talk. She never held side conversations with her coworkers like nail techs often do at other salons. I was her #1 priority. When you are at Cranford Dental do you feel like you are important to us? Does our staff treat you with kindness and respect? I sure hope so! A technician offered a beverage as soon as I sat down. Don’t tell my dentist, but I chose a Coke. It hit the spot and was just what I was craving. The manager noticed I was wearing a dress and discreetly place a towel over my lap. Now I could comfortably prop my feet up in the chair. I didn’t even have to ask– he just knew what I needed! Whether it’s offering you a water, a warm towel, a neck pillow, or even an umbrella, we at Cranford Dental strive to anticipate your needs when you visit our office. Please let us know if you have ideas that would help us improve. When it comes to feet (and teeth!) cleanliness is of utmost importance. I was impressed that Blush Nail Bar had disposable plastic liners in each of the pedicure bins. I was confident that I wasn’t putting my feet in a pool of water that had been exposed to someone else’s foot fungus. The employees thoroughly cleaned their stations after each visit. The “scrubber” that the technician used on my foot came out of a new package. At Cranford Dental, cleanliness and sterility are top priorities. We have a state-of-the-art sterilization room. We follow proper protocols to ensure that our rooms and instruments are sterile or clean. Ask to see our sterilization process at your next visit or read about our sterilization process here. I immediately noticed Blush’s gorgeous setting. It was clear that careful planning had gone into making it a pleasant place. All of the chairs were clean and uniform. I felt special and cared for. Being in a nice place automatically set my mind at ease. We work hard to make Cranford Dental inviting and aesthetically pleasing. We want each patient to feel comfortable and impressed from the minute you walk in the door. I felt appreciated. My business mattered to them. In just one visit I went from someone who dreads getting pedicures to someone who cannot wait to go back. I will recommend Blush to friends. I want Cranford Dental patients to have a similar experience at our office. You matter. You and your comfort are our #1 priority. We want you to feel welcomed and happy to come back to see us! We want you to recommend our office to your friends. 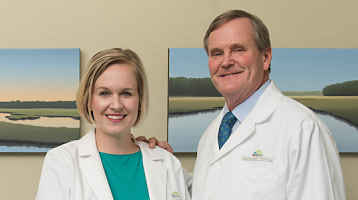 Call 803-324-7670 or Contact Cranford Dental if you would have questions about the care we offer our patients. We also welcome your suggestions on how we can improve. Leave a comment if you’ve had an excellent experience at Cranford Dental or at other local business. Also leave ideas that we can use to make visiting Cranford Dental an even better experience.